The wait is over! My homemade Vanilla Extract and Vanilla sugar that I started in August is finally ready. I waited 8 weeks and it’s finally time to try it out. 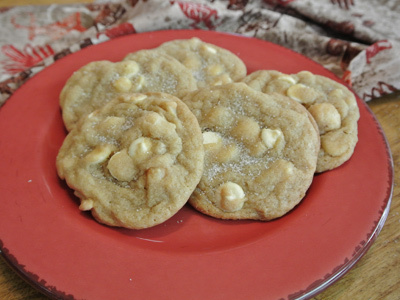 I found just the recipe, White Chocolate Macadamia Nut cookies. 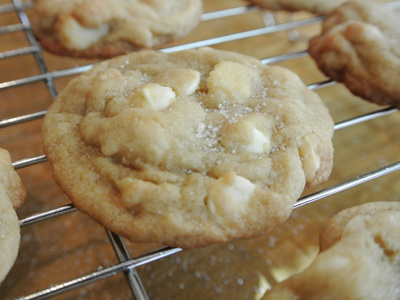 I love white chocolate, which isn’t really chocolate at all, but that’s beside the point. And I have several cans of Macadamia nuts that Joe and I brought back from Hawaii saving for a special occasion. 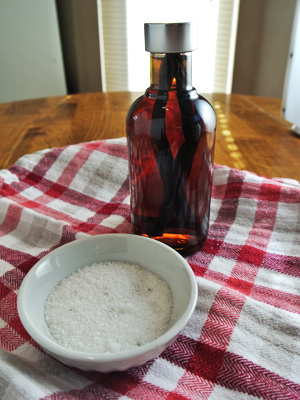 I think unveiling the Vanilla Extract and Vanilla Sugar is pretty special. 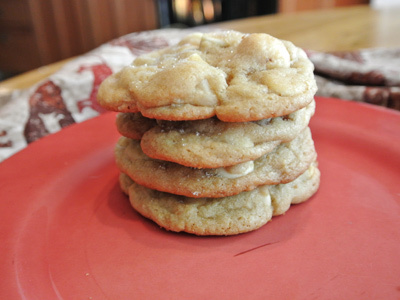 The cookies turned out pretty good too! The Vanilla Extract is dark amber in color and the Vanilla Sugar has little flecks of vanilla bean throughout. They both have the most amazing vanilla scent. 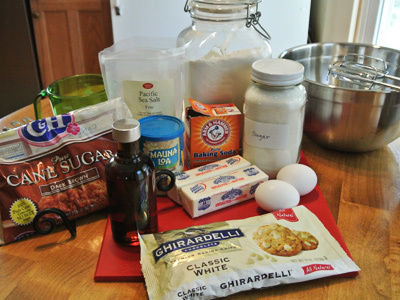 Here’s what’s needed for the cookies. 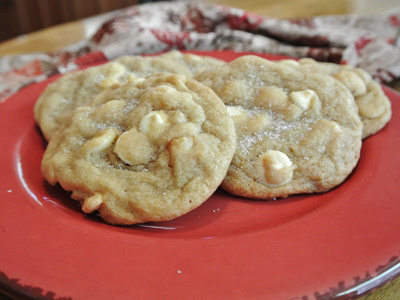 Some butter, flour, sugar, brown sugar, eggs, vanilla extract, baking soda, salt, white chocolate chips, and macadamia nuts. 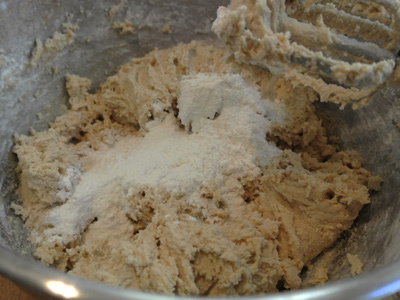 Cream together the butter and sugars using a hand or stand mixer. 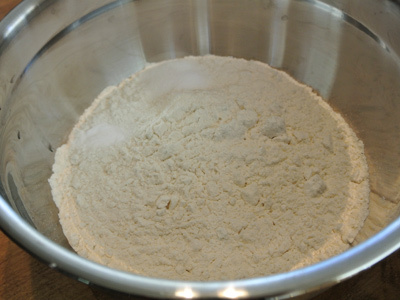 Combine the dry ingredients of flour, baking soda and salt. 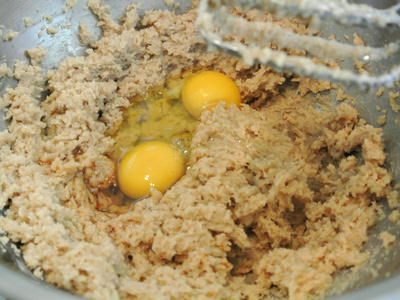 Blend in the flour mixture a little bit at a time, mixing after each addition. 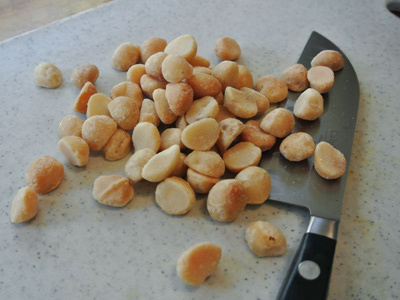 Roughly chop 1 1/2 cups macadamia nuts. 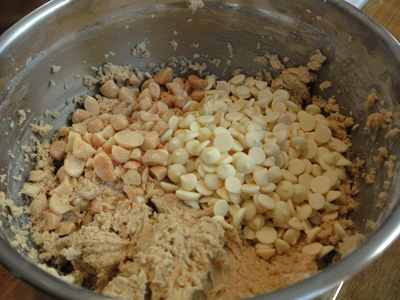 Fold in the macadamia nuts and bag of white chocolate chips to the cookie dough. 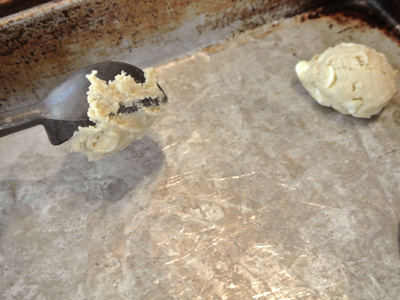 I used an ice cream scooper to drop the cookie dough onto an ungreased baking sheet. Bake at 350 degrees for 10 – 12 minutes. Transfer to a cooling rack and sprinkle with vanilla sugar. I love big chewy cookies! Preheat oven to 350 degrees. 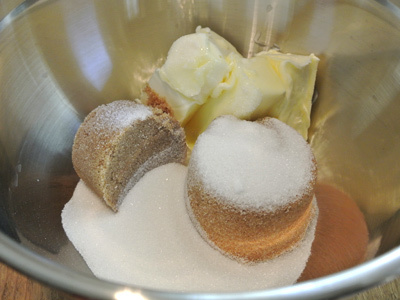 Cream butter and sugars together until fluffy. Add vanilla and eggs and beat well. Blend in flour, baking soda and salt. 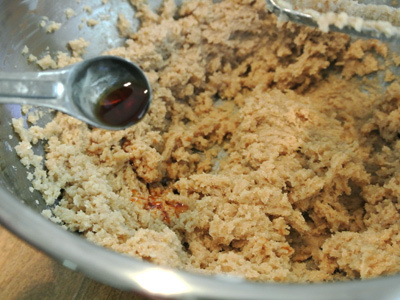 Mix the dry ingredients into the dough a little bit at a time, mixing after each addition. 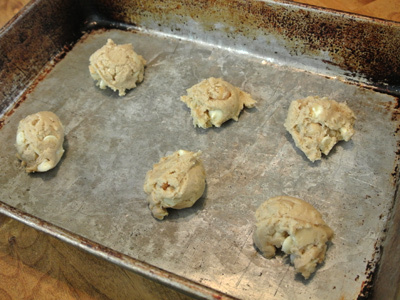 Drop cookie dough onto ungreased baking sheets. Bake 10 – 12 minutes. Transfer to a cooling rack. Sprinkle with Vanilla Sugar if desired. very favorite cookie! I ‘m sure your vanilla extract and vanilla sugar made them extra tasty! Mine too! I had a hard time keeping my hands out of the cookie jar while the guys were gone during the day!